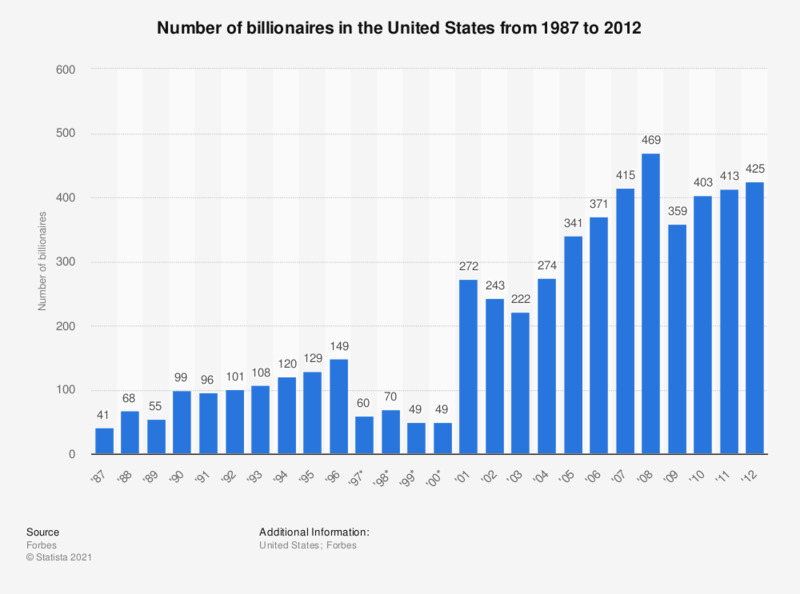 This graph shows the number of billionaires in the United States from 1987 to 2012. The number of billionaires in the U.S. has increased tenfold during this time, from 41 billionaires in 1987 to 425 billionaires in 2012. *1997-2000 count based on top 200 billionaires.